The Sydney floor plan features an open living concept with a large café and center island seating. The kitchen has ample cabinet storage with a Chef's pantry. The owner's suite is tucked away from the main living area and offers quiet privacy, along with a walk in shower and double vanities. The 3 car garage has an entrance to the ''mud'' room and a separate laundry room. A ''flex'' room allows for a home office or play room area. The family room opens onto a covered lanai and back yard privacy. Tile floors in all bathrooms, kitchen, and café along with a kitchen backsplash and gorgeous 42'' tall cabinets. 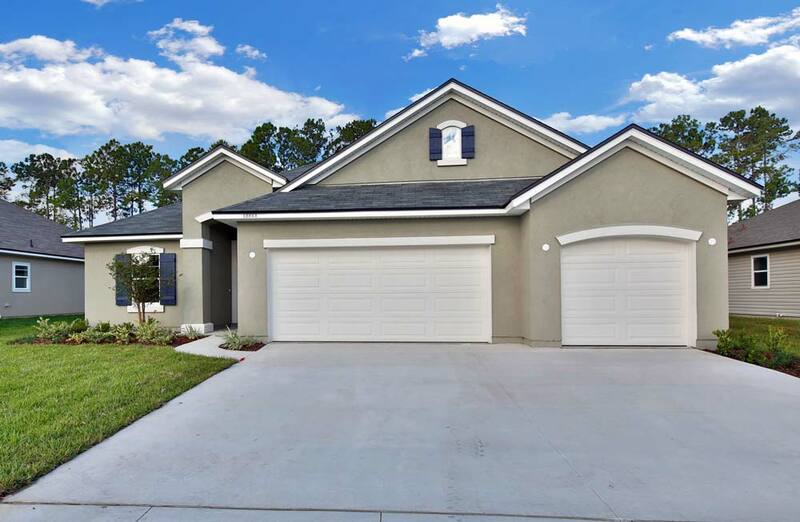 This is a must see home in the Trails at Bent Creek, a beautiful established neighborhood with access to shopping, dining and entertainment in nearby Oakleaf Plantation shops.